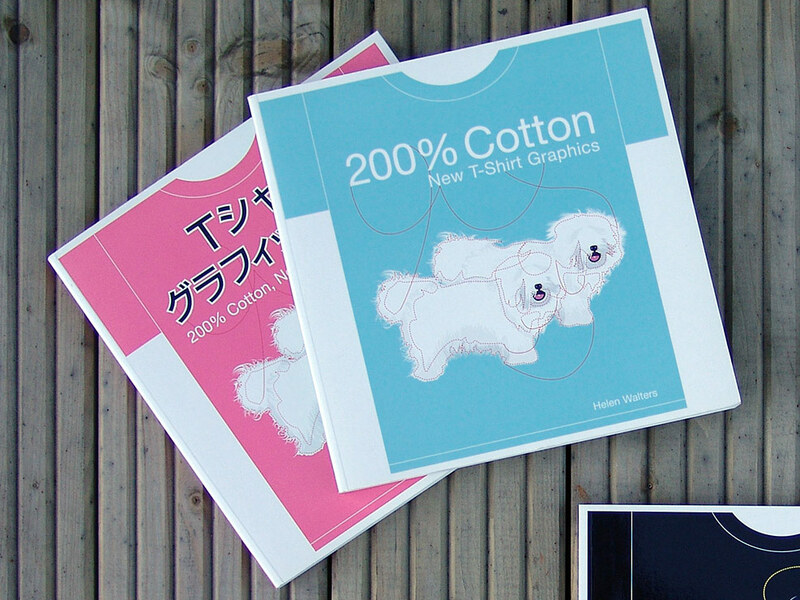 200% Cotton – New T-shirt Graphics was the very first book design commissioned by what was to become a loyal client and FL@33's very own publisher – namely London-based Laurence King. ___ 200% Cotton turned out to be an internationally successful best-seller and more FL@33-designed books followed – starting with 300% Cotton – More T-shirt Graphics – the book's sequel in 2006. ___ Book design and front cover illustration / type treatment are by FL@33. The book also features some of the first FL@33-designed T-shirts besides many international T-shirt gems. ___ Working on 200% Cotton was one of the encouragements we had at the time to launch our very own T-shirt and button badge label and online boutique Stereohype. The 200% promo T-shirt featuring the FL@33-design cover artwork was produced especially for the book launch – a collaboration between Laurence King Publishing, FL@33 and the studio's newly launched T-shirt label Stereohype. 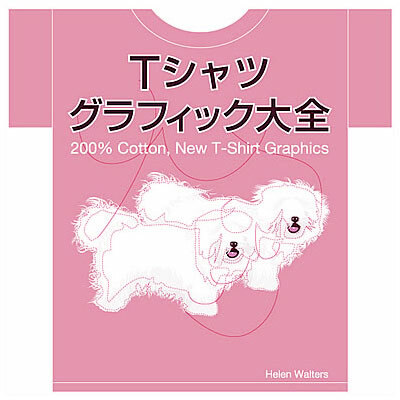 ___ The Japanese cover of this FL@33-designed book by Helen Walters was published in a pink cover version. ___ A few remaining screenprinted 200% Cotton Dogs T-shirts are still available at stereohype.com.